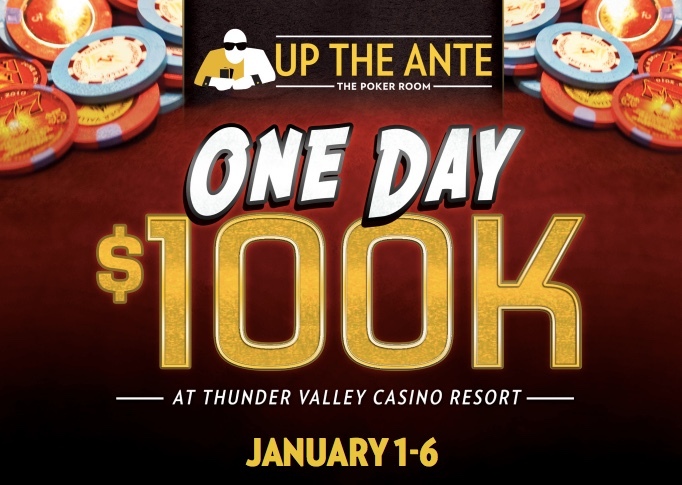 Win your way to Saturday's #OneDay$100k for just $110 in any of three satellites tomorrow. The OneDay$100,000 Guaranteed $460 is one of the most popular tournaments held each year at TVPokerRoom, drawing field of 450 or more entries. At 11am, 6pm and 8pm tomorrow is your chance to get in via satellite. Start with 10,000 stacks, play 15-minute levels and 1-in-5 entries earns a seat in Saturday's tournament. There's unlimited re-entries in each satellite until the start of Level 7. There's one final LastChanceTurboSatellite Saturday at 9am, structure is the same but for 10-minute levels.